PHILADELPHIA, January 11, 2019 – The National Small College Rugby Organization (NSCRO) today announced that Western Oregon University, located in Monmouth, OR, has been selected as the host of NSCRO’s 2019 Challenge Cup Pacific Coast Region Championship. The men’s 15s competition is scheduled for Saturday, March 30th and Sunday, March 31st, and will feature four teams including Western Oregon and Central Oregon Community College. along with teams from the Northern California and Gold Coast (Southern California) Collegiate Rugby Conferences to be determined in early March. Western Oregon and Central Oregon will be representing the Northwest Collegiate Rugby Conference. The winner of the 2019 Challenge Cup Pacific Coast Region Championship at Western Oregon University qualifies for NSCRO’s National Championship, on Saturday, April 27th and Sunday, April 28th (site to be announced). 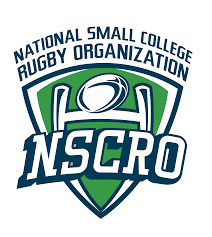 Since 2007, the National Small College Rugby Organization (NSCRO) has been at the forefront of fostering and developing small college rugby programs in the United States. NSCRO is a non-profit organization dedicated to providing services to small college programs that raise the profile, image, and benefits of collegiate rugby in the eyes of school administrators. Comprised of nearly 400 men's and women's college rugby clubs who participate in more than 30 leagues, NSCRO provides an opportunity for these programs to showcase their abilities to a broader audience with a chance at a national title and ranking. Along with recognizing club and player success on and off the field, the increased visibility NSCRO creates has led to improved school support, greater on-campus interest in rugby, and growth in financial support and alumni involvement. Additional information is available at www.nscro.org. Western Oregon University, founded in 1856 and located in Monmouth, is the state's oldest public university. With approximately 5,500 undergraduate and graduate students, WOU is a mid-sized, NCAA Division II institution with nearly 80 percent of the student population being from Oregon. Approximately 25 percent of students are minorities, veterans or part of an underserved population. The university is known as Oregon's campus of choice for those seeking a personal, supportive, student-centered learning community where every class is taught by faculty members and each student has access to diverse education opportunities. Together we succeed. Additional information is available at http://www.wou.edu.